Facebook's first set of original TV shows —posing a challenge to nascent offerings on Apple Music —will reportedly premiere in mid-August, after a month-long delay. Facebook Video on the Apple TV. The company is currently asking some partners to submit their first episodes, according to Bloomberg sources. These should be planned short-form shows —"higher-end," full-length shows are expected to premiere at a later date. Viewers will likely be directed to a separate video section outside of the News Feed, Bloomberg said. 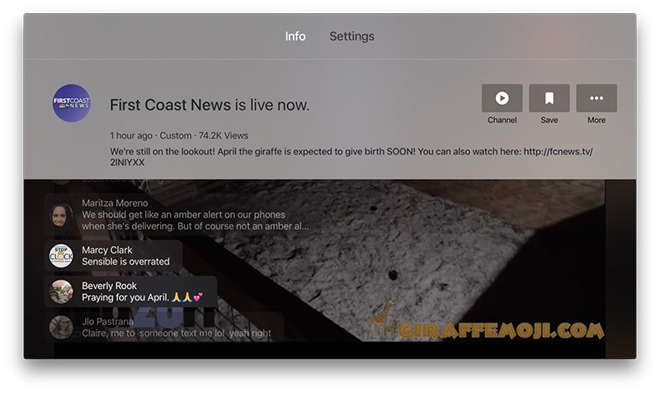 Facebook's Video app for the Apple TV, launched in February, is another probable destination. The company is reportedly funding the first round of shows, and hiring veteran executives out of the media industry to help. It's not, however, predicted to maintain that funding —instead companies will presumably have to find reliable ad partners, splitting some of their revenue with Facebook. Original video has a growing presence on Apple Music. Aside from multiple documentaries —like "Kygo: Stole the Show," premiering today —the service already has a reality TV show, "Planet of the Apps," and will see "Carpool Karaoke" debut on Aug. 8. In June Apple announced the hiring of two former Sony Pictures Television executives, Jamie Erlicht and Zack Van Amburg, who will take charge of the company's video programming.